Promoting the most important educational evolution movement in Latin America. This is an integral K12 model designed transversally, in 3 languages ​​(Spanish, English and the language of technology, of learning by doing). The world is constantly changing, and technology generates exponential opportunities for the design of innovative learning environments. Conscious of that reality and the fact that our children demand new ways of learning and approaching knowledge to develop life skills, the model places the student at the center of the proposal, as an integral being and not only as a student. We are focused on designing learning experiences in which technology brings the world to the classroom and allows what happens there to impact the world. We seek to empower the school to develop not only better students but better human beings. 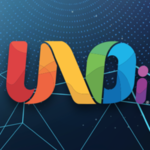 UNOi is an integral educational K12 model, based on three components: Pedagogy, Printed and Digital content, and Learning environments. This model places the student at the center of the educational process as an active protagonist, responsible for their learning. The model's design contemplates 3 processes: Evaluation, Professional Development and Digitization. BE: Our english proposal for the development of the 5 language skills: reading, writing, listening, speaking and culture. DO: The language of technology: learning by doing and doing to transform. One of the processes in which the model is based is the professional development. We have a team of more than 40 coaches who accompany a maximum of 10 schools per region. Each coach designs a personalized strategy for each school, based on a diagnosis that identifies the level of educational innovation and establishes the needs and priorities of work in the following areas: Pedagogy Evaluation Digitization Management Community The work plans are generated by teacher and by school. The teacher works individually in an online professional development platform that generates a development plan derived from his diagnostic evaluation and simultaneously attends work sessions (workshops) with his coach as part of the general development plan of the school. Additionally, teachers have a video call attention service with a virtual coach to solve specific academic doubts, as well as a human development coach who works with the school's educational community. UNOi empowers schools to lead a process of gradual and personalized educational evolution. The school becomes a learning centre whose main objective is to educate for peace, forming better human beings, who grow happily and enjoy learning. Currently, the UNOi educational model works in approximately 400 private schools in Mexico and a total of approximately 1000 schools considering that it is also working in Colombia and Brazil (mainly). The 400 schools in Mexico represent more than 113,000 students. The model is designed in Spanish and Portuguese although it also includes content in English that prepares our students to achieve international certifications in that language. It’s been a pleasure to work through this sometimes hard path. Our Students’ profiles had been evaluated and developed to their maximum capabilies and beyond! We are so excited about what the future represents and how we are transforming it NOW! Thank you! #proudtoBEsurval. Let's build a new future!! One of our educational consultants will visit your school to learn about your vision as director of the management team, the educational levels of the school, etc., so we can identify the areas in which we can help achieve a true educational innovation. Belonging to UNOi is undoubtedly an opportunity to evolve your school in all its axes. We work as a team, and together we achieve the objectives that each educational institution has proposed.